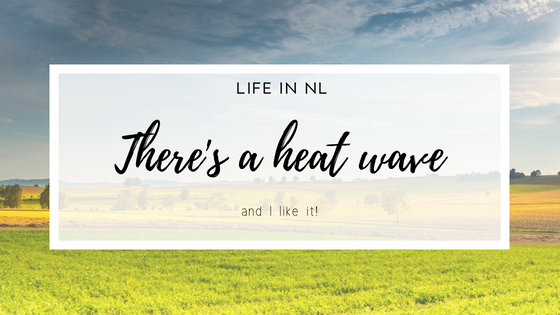 As I am writing this post, I have a fan blasting some air at me, almost all lights out, proper summer clothes on and trying not to melt. 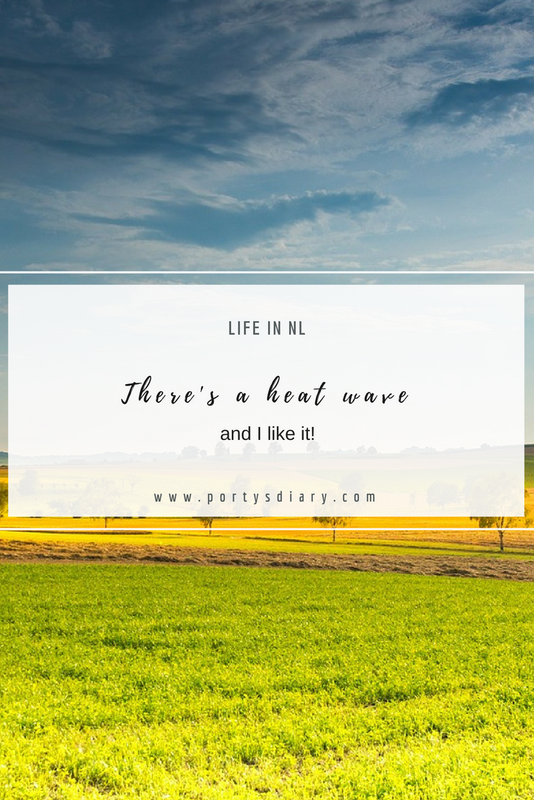 Yes, we are in the middle of a heat wave, over here in the Netherlands. Or as far as I know, in almost all of central Europe. During my drive back home from work, I always pass by some nice green hills and grass fields. Well, I should say, "what it used to be green hills and grass fields". In these last few days, every time I had the impression I was driving through the southern countryside of Portugal, in the Alentejo region, which is known for being very hot during the warm months and having its fields transformed from green into yellow, due to extreme dry soils. I guess that's what we are having right now over here, in the Netherlands. The city park where I live has no grass anymore; I was shocked!! Never in 7 years, I have seen so much "yellow fields" over here. I wish I had photos to show you, but unfortunately, I am always driving when I notice this sort of things. As interesting as it may be to my eyes, it is quite shocking as well as another sign of how the climate is slowly changing. Whether Trump agrees or not. It is changing! Now, the funny thing is that back in Porty-land (in case you're new here, that's my nickname to Portugal) people are complaining about how cold it is, and not much of a Summer vibe going on. People over here are trying to get any sort of cooling, that being a good old fan or air conditioning. The problem is that any sort of ventilator is sold out in every single store! 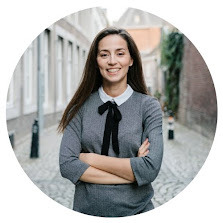 Truth is, this is not normal for Dutch standards. At least not during the last 7 years I have been living here. Sure, we had warm days (for me that means anything above 30C; hot days for is about 40C), but usually, they don't last so long. My plants are also not happy, even though e try to water them as regularly as possible. But in all honesty, you won't hear me complaining! Because I simply love warm days in this time of the year. This is exactly what I expect in July and August. Not 25C and rain. No thanks. If any Dutch person is reading this: I am sorry, but I like it! Nothing makes me happier than several sunny warm days in a row. What about where you live; is it also very warm right now? 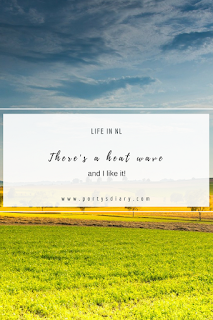 Do you suffer from the heat wave or not really? At the moment I'm actually missing the sun a bit. Where I live (Australia) it's currently very cold and a lot of the time rainy!